Blog Challenge Day 28: Got brains? Day 28: What attracts you to someone? 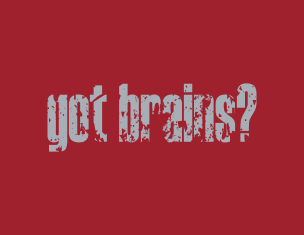 Got brains? You can get it! Ooh that was crass. (Please don’t judge me). But seriously, I am a sucker for someone who can teach me something and not just hold but carry a conversation. (The latter will prove quite important because I can be painfully shy and quite guarded). If the men ( and boys) I’ve dated had anything in common it was that they were intelligent (but thankfully not pretentious) in ways that made me respect them as much as I liked them. Oh, but then, there’s the eyes—and I’m not talking a specific color of eyes or a shape–like, not the physical attribute. I don’t tend to look people in the eye—I sound like a liar when I say that because that’s what liars do, but I learned the clock method: focus on something straight ahead like the clock on the wall and it will appear that you are looking into the eyes of your audience. I do this even in intimate situations because I am attentive to people’s eyes and the stories they tell and sometimes they are stories I’m just not ready to know. (Or maybe I’m just making ‘em up–y’all know how I like to daydream). So brains and eyes attract me. But FYI: it takes a little more to keep me.